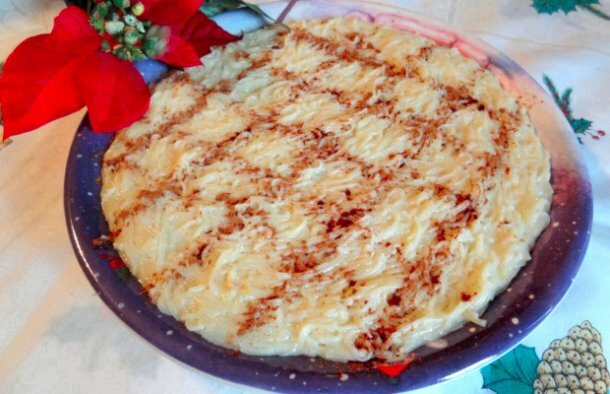 This classic and delicious Portuguese sweet egg noodle Christmas dessert (aletria) is served at Christmas and other festive occasions. Pour milk, sugar, salt and cinnamon stick into a large pan and bring it to a boil, stirring constantly. Meanwhile, beat the egg yolks in a small bowl, slowly blend some heated milk into the eggs, stir and set aside. Break up the noodles and add them to the boiling milk. Stir constantly until the noodles are cooked and remove from the heat. Slowly add egg mixture into the cooked noodles and stir to incorporate. Turn off the heat (don't let the noodles boil) and remove from the heat. Remove the lemon peel and cinnamon stick. 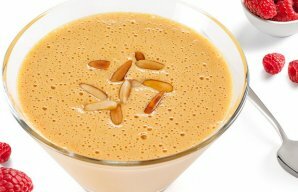 Pour the mixture into a large serving platter with at least 1 inch depth and sprinkle with cinnamon. Let it cool and store covered in the refrigerator until it's served. 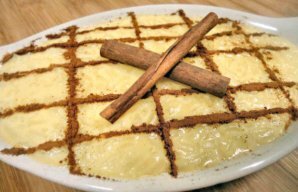 This Portuguese sweet rice pudding recipe (receita de arroz doce) is very popular and makes an amazing dessert.